Pictured (from L to R): Eddy, Mark, Ollie, Jodie, Matt & Steve. We've been in business for 30 years, helping customers have fun on the water while making lifelong friends in the process (see our sister company Big Winds here). 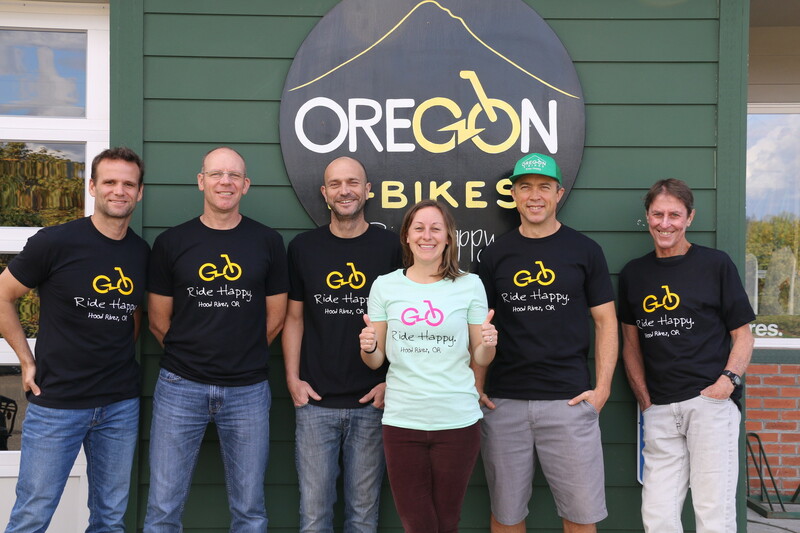 Living in the beautiful Columbia River Gorge, we have access to some of the best road biking, mountain biking, windsurfing, kiteboarding and stand up paddleboarding around. By adding e-bikes to the mix, we just made our worlds a whole lot more fun! Biggest e-bike surprise: “Going uphill is more fun than going down! I can get most places in town as fast as a car can, without the hassle of parking and the environmental footprint. The times when I need a car on a daily basis are now few and far between, and I am always seeking out opportunities to go somewhere on my Faraday instead of my Subaru." Lessons learned e-biking: “Not all e-bikes are created equal. Some are more powerful, some are smoother, and all are heavier than bikes that aren't electric. My Faraday isn't as powerful as some other cruiser/commuter bikes (the Blix Komfort+ and Raleigh Retroglide for example), though at less than 40 pounds it is light enough that I can pedal it fairly easily without the assist. Not that I necessarily want to though - I've learned pretty quickly that it's more fun to keep the battery charged and the 'Boost' mode on!" Bought an e-bike for: Getting to and from work on two wheels. Biggest surprise: "After a long day at work, on a regular bike I would sometimes dread my uphill commute home. 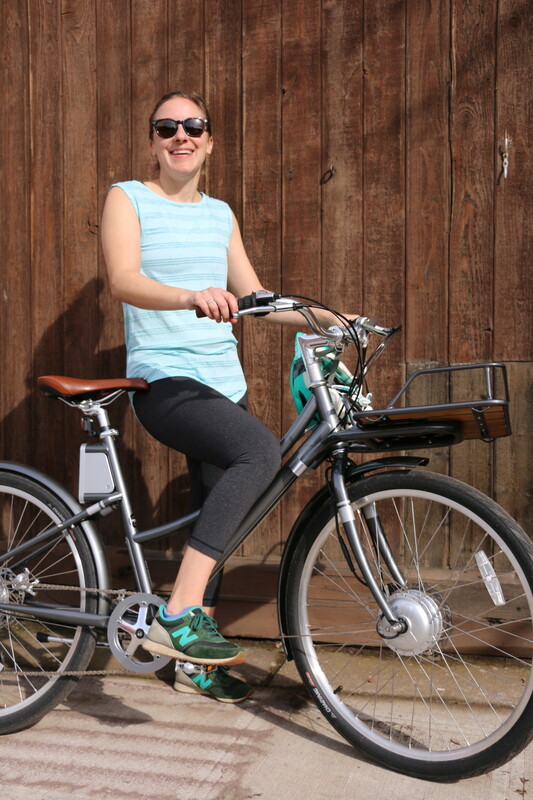 With the e-bike I have no such dread, I actually enjoy the uphill and get home faster than I would in a car!" Lessons learned from e-biking: "I knew e-biking would save me money on gas, but I can't believe how much. I honestly don't remember the last time I filled up my Van, it has been months and I am so much happier and healthier." Bought an e-bike for: Jetting up Hood River's hills, being outside on a daily basis, and enjoying the occasional trail ride. 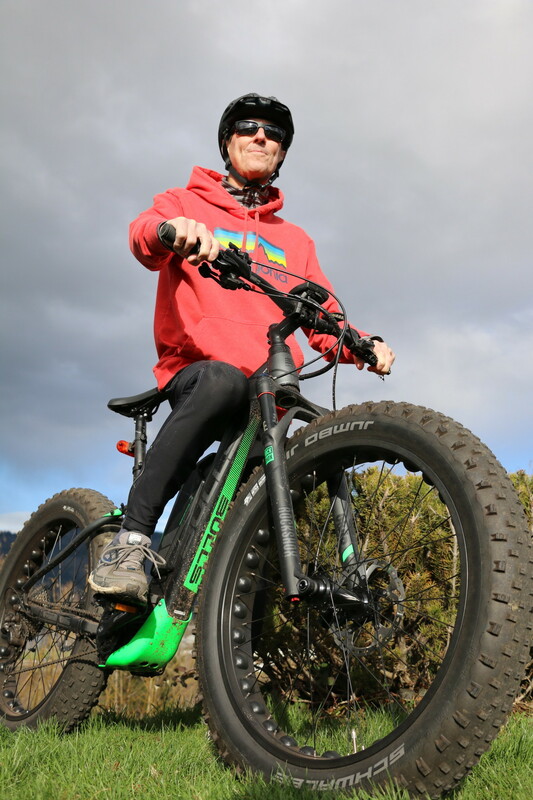 Biggest e-bike surprise: "Fat tires are not just for trails! I love cruising around on my Monster from Point A to Point B around town, or for lengthier road rides with my wife. The stability on variable terrain is great. It's also super comfy, fast, and eye-catching!" 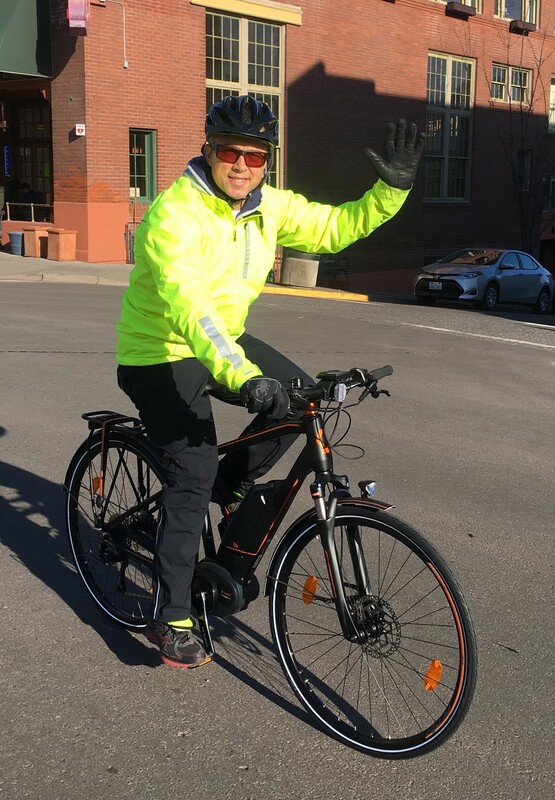 Lessons learned e-biking: "What a conversation topic! 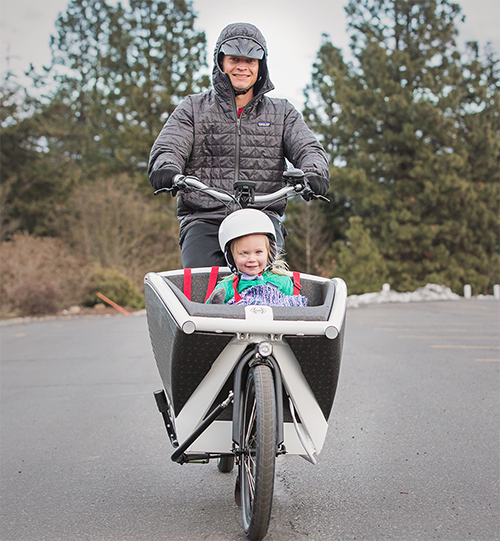 I can't tell you how many times I've been riding around on my Monster and have ended up in lengthy, engaging conversations with friends, neighbors and complete strangers about e-bikes and how exciting they are."